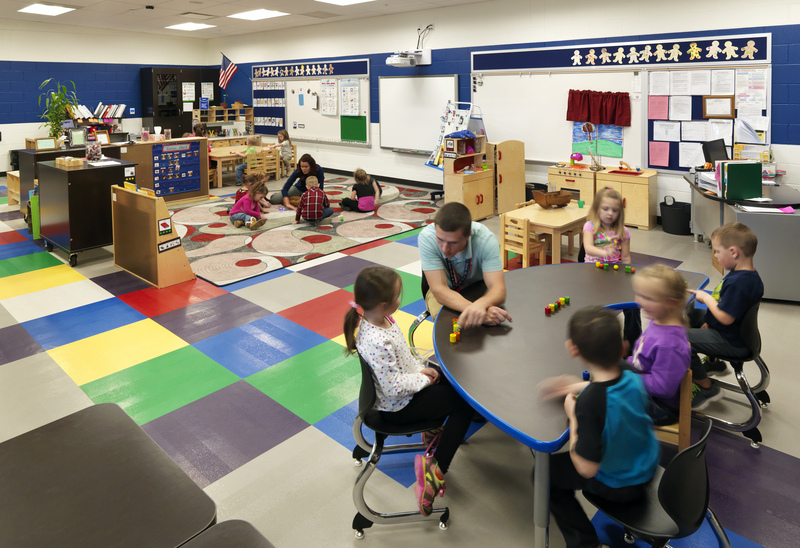 The District has a strong focus on 21st century learning and education. 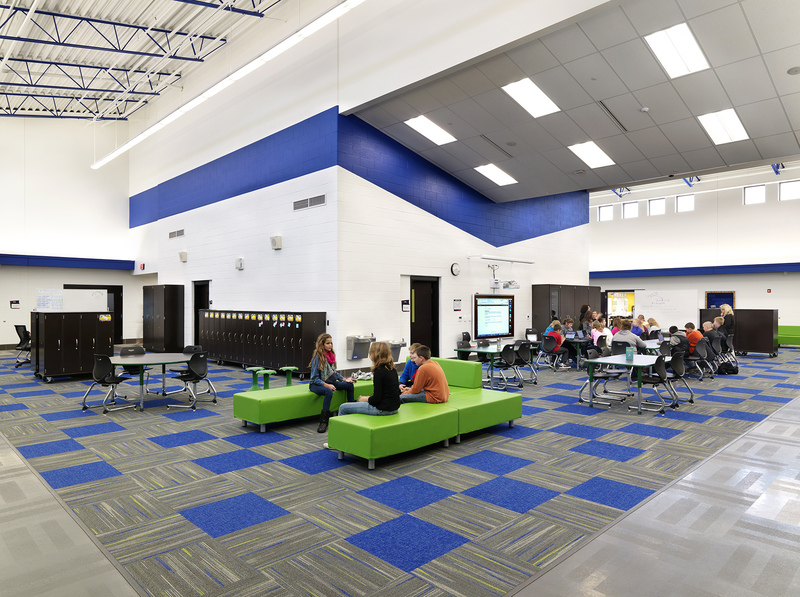 Their strong need for collaboration drove the concept to provide large extending learning areas that are accessed by all classrooms. 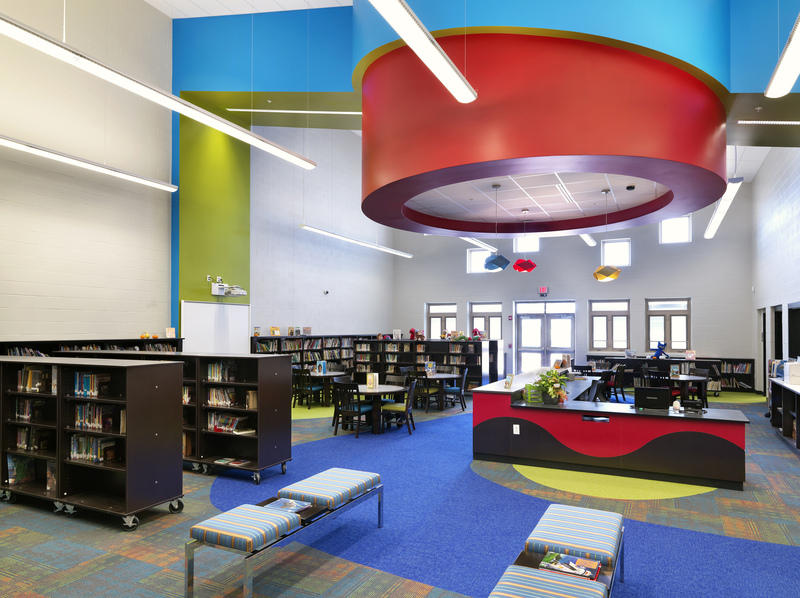 The final design makes a statement of the importance of 21st century education in the Kenton community. The K-6 school sits on a new site to accommodate the building, parking, circulation drive and physical education fields. For the playground, the STEM program at the school inspired a gear-themed layout, using a low budget 2D painted ground plane as a major focal point. Math, science and geography are among some of the education lessons. 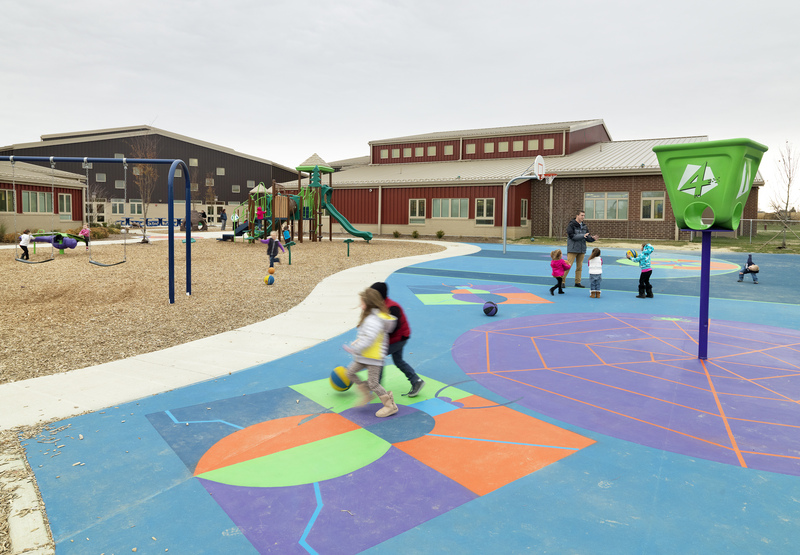 The playground was also designed to use surface drainage as much as possible avoiding the less environmental approach of piping water off site.